That’s why seeking prompt care is so important, even if the wound or incident seems very trivial. If you are bitten, scratched, or licked by an animal you must wash the wound or site of exposure with plenty of soap and water and seek medical advice without delay. 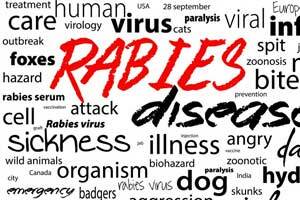 Washington D.C: A new research has highlighted the importance of raising awareness about the rising risks of rabies and advised to seek medical treatment on time. People wait an average of 10 days before seeking medical advice following exposure to potentially rabid animals overseas, according to the study.